If you are going to get creative with your advertisement, and use the top of two beer bottles as substitute for the letter “h,” you might as well want to spell check your copy, so that winners will “receive” prizes and giveaways, instead of “receive” prizes and giveaways. 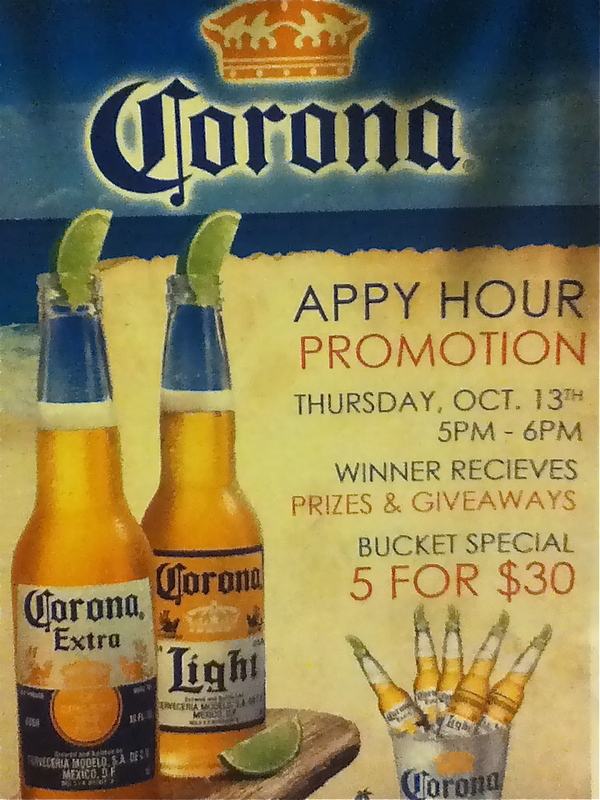 This entry was posted in Hispanic ad agencies, Language, Marketing & Advertising and tagged beer marketing, Corona, print advertising. Bookmark the permalink. Too funny! Dos errores estupidos en un anuncio cliche! Se me acaba de ocurrir un nuevo “App” para el (H)appy Hour. Gracias por el tip, jeje. Laurita, una observación: sé que en la corrección del anuncio quisiste decir “RECIEVE”, pero a la hora de señalar la corrección, dos veces lo escribiste correctamente “RECEIVE”. Spell check your correction, make it “RECIEVE”, so that it sounds funny.